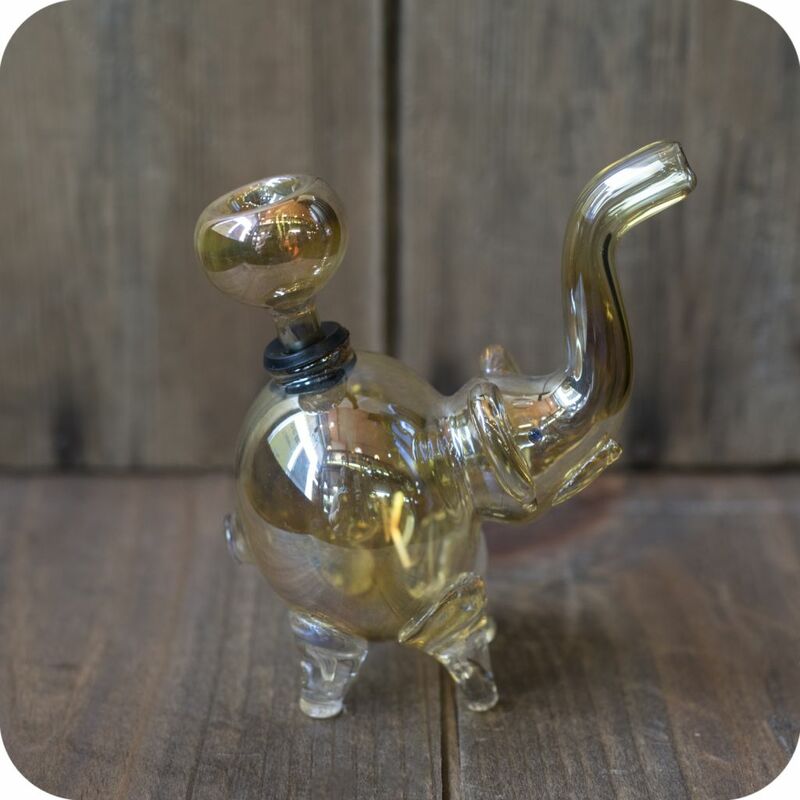 Looking for an adorable animal pipe that will charm you every smoke session you have? 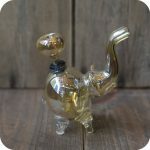 This yellow elephant bubbler might be exactly what you’ve been hunting for. It’s adorable trunk acts as a mouthpiece while the bowl is attached to its back. 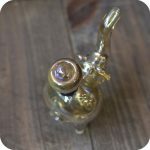 The bubbler itself is ergonomically designed to have a user-friendly grip hence the corroborator is placed right on its tail for easy access. It’s transparent yellow glass allows you to see the inside contents of your bubbler as you smoke your legal herb. 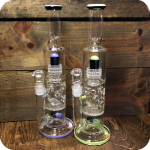 Additionally this bubbler is one of the few that can be easily cleaned since the bowl on its back is removable. 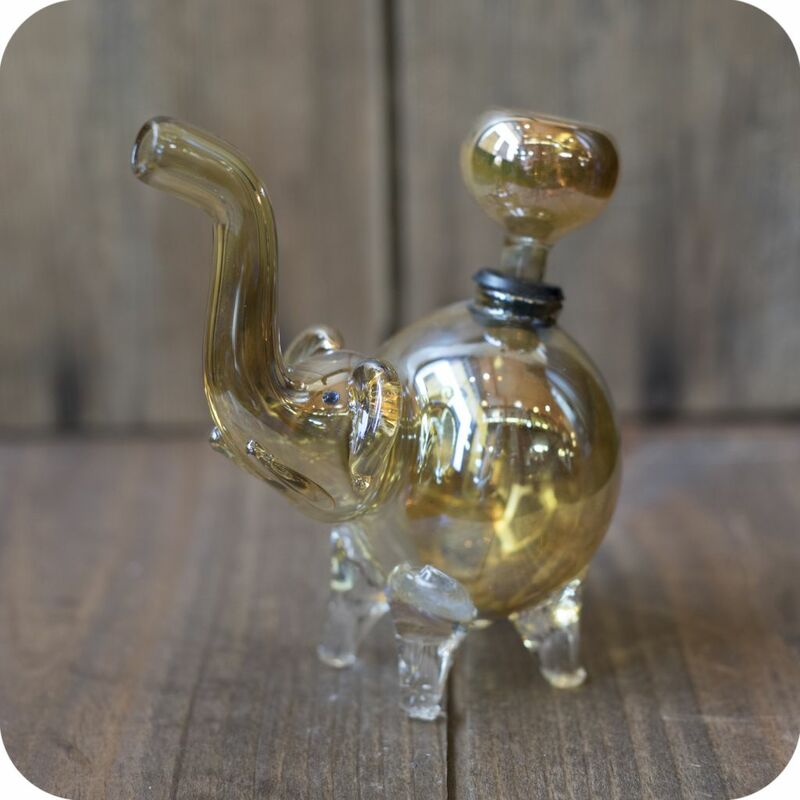 If you’re looking to expand your herd even further, check out our baby elephant glass pipes! Hurry now and catch this elephant before it runs out the door! Tags: animal bubbler, animal pipe, Brooklyn, brooklyn glass, brooklyn smoke shop, bubbler, bushwick head shop, elephant bubbler, glass pipe, glass shop, new york city, new york city headshop, nyc smoke shop, Sunflower Glass Company, williamsburg head shop, williamsburg smoke shop, Yellow Elephant.